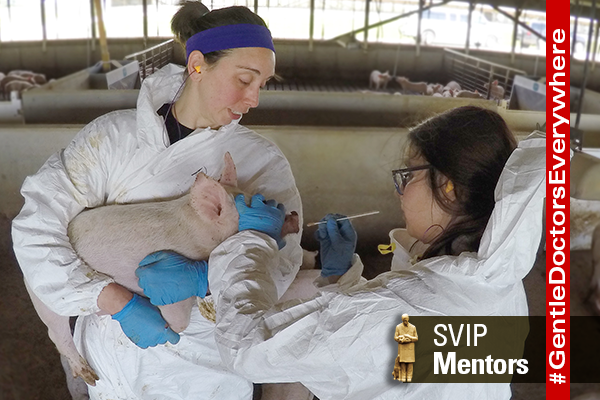 Each summer, College of Veterinary Medicine students participate in internship programs giving them the opportunity to collaborate with veterinarians in both the swine and dairy medicine industry. For the past several summers, recent Iowa State DVM graduates either hosted veterinary students or served as their company’s liaison for the program. And all say they were anxious to serve as a mentor after completing a similar internship while they were in school. “Many of us had these opportunities as students and know how much it contributed to our education and our ability to perform at a high level in our job,” said Dr. Kate Dion (2011).